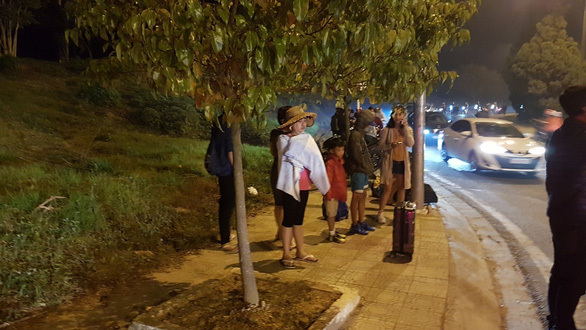 Many visitors to Da Lat, a popular tourist city in Vietnam’s Central Highlands, had to set up tents along a local lake on Friday night as hotels were fully booked due to high demand during the Lunar New Year (Tet) holiday. Located 1,500 meters high on a plateau in Lam Dong Province, Da Lat is blessed with a year-round cool climate and is a highly preferred destination for holiday trips in the Southeast Asian country. The city welcomed an even higher number of visitors during the Lunar New Year holiday. 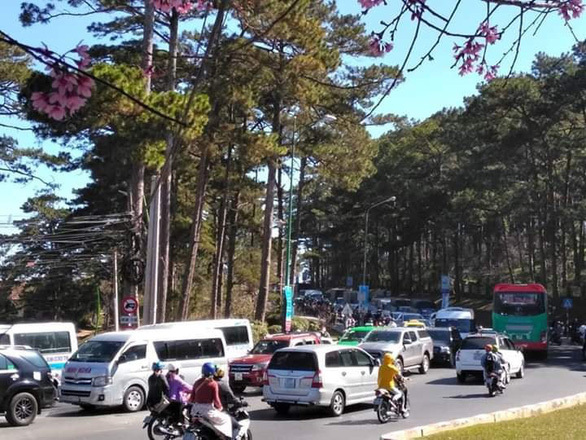 Since February 7, or the third day of the 2019 Lunar Year, the provincial People’s Committee has banned automobiles with 16 seats and above from entering the Prenn Pass, which lies at the southern entrance of Da Lat, in a bid to prevent tourist overcrowding and severe congestion during the festive days. 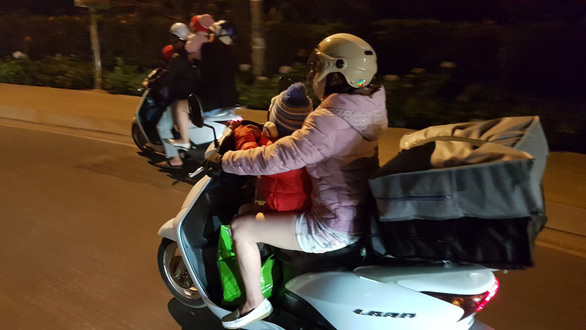 A lot of visitors, however, were still able to reach Da Lat with their personal cars and motorbikes, resulting in traffic jams along major routes in the city, namely 3 Thang 4, Hung Vuong, Ho Tung Mau, and streets near the iconic Xuan Huong Lake. About 1,400 hotels and hostels across the tourist hub have ran out of rooms over the past days. According to the observation of Tuoi Tre (Youth) newspaper as of 9:30 pm on Friday, visitors were still struggling to find a place to stay. 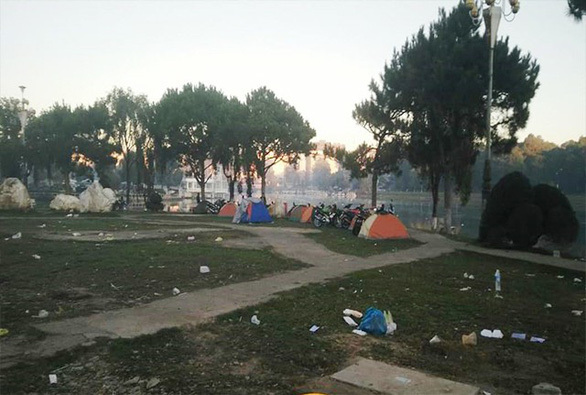 Many of them decided to set up tents at the Xuan Huong Lake despite the temperature of 15 degrees Celsius. It was also very difficult to catch a taxi in downtown areas. A double room cost about VND1.2 million (US$52) to VND3.6 million ($155) per night, a threefold increase compared to regular days. At popular eateries, customers had to wait hours for their turn.